Since CMS announced that it will be renaming the EHR meaningful use program, “Promoting Interoperability,” FHIR and other open source APIs have been getting a lot of attention. Many believe that FHIR is the next big thing in healthcare and will open the closed data sharing system we currently operate in today. 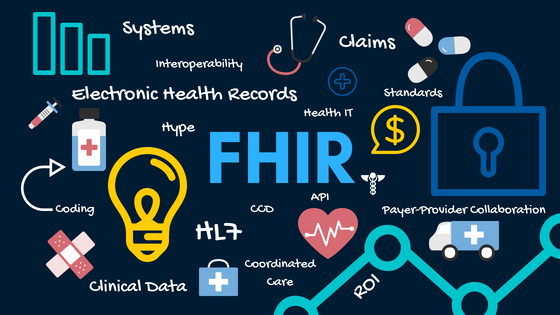 FHIR is a draft standard describing data formats and resources (data), and an API (application programming interface) for exchanging healthcare data. What makes FHIR unique is its ability to extract data from an EHR and allow that data to integrate with customized applications. Unlike other HL7 standards (specifically C-CDA), FHIR is not heavily bloated with large data requirements. APIs allow for the exchange of specific pieces of information for specific purposes. At the Dev4Health conference this year, Hal Wolf, CEO of HIMSS announced that the organization will begin to focus on “helping providers open their data to developers.” FHIR is an obvious and viable solution for tackling this objective. As Apple has successfully demonstrated with their new feature to the Apple Health app, FHIR can be leveraged by developers inside and outside of healthcare to create applications that deliver healthcare data when and where it is needed. Having access to specific, targeted health information is useful for both patients and their physicians; with this information, management of certain conditions such as chronic disease and acute event recovery can be made easier. For example, the Rimidi Diabetes App from Cerner helps diabetic patients manage their diabetes by aggregating and analyzing labs, vital signs, medications, and testing that comprise comprehensive diabetes care. Similarly, the Heart Pathway App helps heart attack recovery patients monitor information such as pain location and pressure level, making it easier for them to determine whether to visit the emergency room. (1) FHIR itself is not a standard, it’s a suggestion, so it’s possible that EHR vendors will implement different versions of FHIR. (2) EHR vendors may not implement all the available FHIR APIs, therefore causing issues for developers who want their applications to run across EHR platforms. (3) EHR vendors are not consistently implementing the entire API. (4) FHIR extensions undermine standardization. These factors, among others, will be obstacles for achieving interoperability. All users of healthcare data are working towards a shared goal, to help keep patients healthier. To achieve this goal, healthcare providers need to share information amongst themselves and with health plans quickly and easily. The industry is currently hyped on FHIR because it helps facilitate this type of seamless data exchange; but FHIR alone will not revolutionize healthcare, people will. As the industry matures, technologies and methodologies mature simultaneously. We should embrace innovation while remaining mindful that Health IT will continue to evolve. 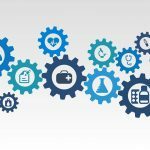 To achieve an optimal healthcare system, health plans, providers, ACOs, vendors and patients need to collaborate on both technological and social solutions for achieving true interoperability.